Senate majority leader Mitch McConnell began his exceptionally long Capitol Hill career as an intern for one of the lions of the Senate: Kentucky Senator John Sherman Cooper. It happened that McConnell worked with Cooper, an old-school “Party of Lincoln” liberal Republican, during the remarkable era when the senator championed enactment of the Civil Rights Act of 1964 and the Voting Rights Act of 1965.
Cooper did, indeed, act as a “profile-in-courage” senator when he rallied fellow Republicans to support civil-rights legislation, with the argument that it was their historic and moral duty as members of the “Party of Lincoln.” History well records that the courageous Kentuckian played a critical role in organizing most of his party’s caucus to vote with liberal Democrats to avert the stalling tactics of segregationist Democrats, and their conservative Republican allies, so that the Senate could finally speak on behalf of civil rights. McConnell has always celebrated Cooper’s legacy, and rightly so. 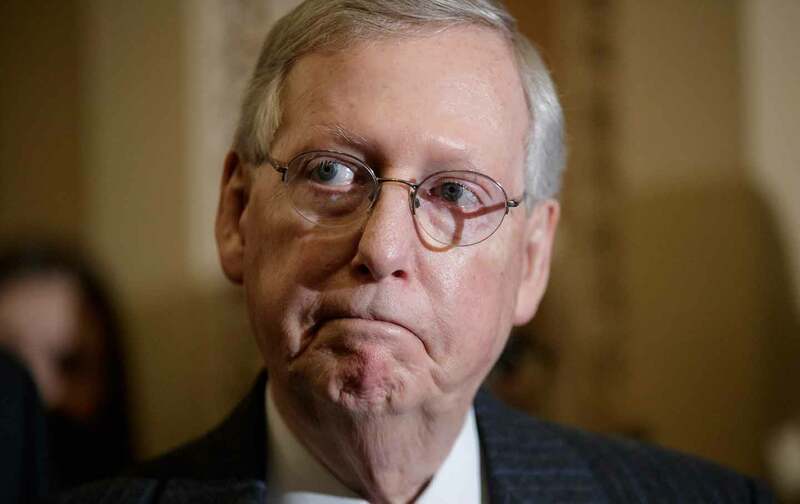 Yet, when a fellow senator invoked the memory of struggles on behalf of racial equality by reading the words of Coretta Scott King on Tuesday night, McConnell and the members of his majority caucus shut her down. Surely, John Sherman Cooper—who warned that, if the “Party of Lincoln” were ever to align itself with the foes of civil rights, “it will do a great wrong because it will be supporting the denial of the constitutional and human rights of our citizens”—would be horrified by his former intern’s infamy.